FAQ - Pongee Industries Co., Ltd.
What is the advantages of Pongee long range RFID product comparing with other brand? a. For the active card PFH-620/320 ( 6 meters/ 3 meters ) : We have the dual frequency (125KHz / 433.9MHz) special design for power saving, which can work in the standby mode to lengthen the battery life even kept it in the power on state, until it is approaching to the 125KHz long range RFID reader PFH-9210-620 within the reading distance, it will be waken-up to transmit the 433.9MHz signal to the reader. b. For PP-2752 Access Controller : This is a dual gate design access controller which connect to 2 sets RFID reader PFH-9210-620 and 2 parking barriers for both IN and OUT thru 9-P connector (Blue) and 8-P connector (White). c. For long range RFID reader PFH-9210-620 : A special design for Vehicle loop detector or IR photo beam sensor. Is there any good solution of 16 door solution for Pongee products? We strongly recommend to adopt PP-6750 with RS-485 interface system which can support up to 32 controllers (doors). Please use standard wire (AWG 24, UL2464) for Wiegand signal or RS-485 when used in the distance over 50 cm. What is the different application for interface TCP/IP, RS-232/422/485 for Pongee Access Controller? 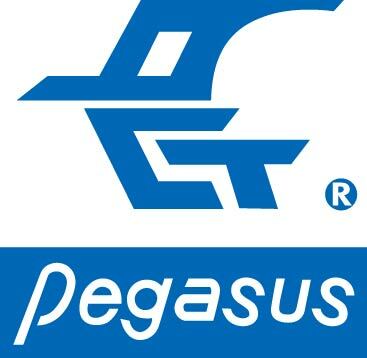 a. TCP/IP : No distance limitation between the Access Controller and PC (running Pegasus PGAccess), anywhere there is RJ-45 interface of Ethernet HUB or Router in the worldwide, connects to numerous Pongee Access Controllers at the same time . b. RS- 232 : Distance limitation is 15 meters between the Access Controller and PC, connects up to 7~ 8 sets Pongee Access Controllers at the same time. c. RS- 422 : Full-duplex communication, distance limitation is 1,200 meters between the Access Controller and PC, connects up to 160 sets Access Controllers thru Pongee Multi-channel converter PCP832-16 at the same time. d. RS- 485 : Half-duplex communication, distance limitation is 1,200 meters between the Access Controller and PC, connects up to 32 sets Access Controllers thru Pongee RS485/232 Converter at the same time. What are the main stream products of Pongee? What's the advantage of Pongee product comparing with other brand? Established since 1983, Pongee is one of the leading professional R&D designer and manufacturer, which had been experienced in the security access control field for more than 23 years, we have the ability to serve you with the total solution of S/W or H/W, and can provide the customer with the complete series from magnetic stripe card readers to high technology RFID devices and many networking converters, we are the one-stop provider including service in this field. We are also capable of handling the OEM and ODM projects, we'll made the debut for a series of premium-grade new products in the near future, like Zigbee (low power wireless WPAN : Reading range 75 metres, IEEE 802.15.4 standard, 2.4 GHz, CSMA/CA), ISO/IEC 15693 compliant smart label reader (13.56Mhz : Reading range up to 1.5 meters, Tag-It HF-I, I-CODE SLI, LRI512...etc), ISO/IEC 18000 - RFID Air Interface reader : (Reading range 7 meters, AWID compatible, UHF radio frequency 915 MHz), PDA RFID Reader (Reading range 90 cm, ISO 15693 standard, 13.56Mhz , CF card type Interface), Pongee has ISO-9001:2008 certified factory, all products carry the CE-approval and meet WEEE and RoHS-directive compliance. For more information about our products and services, please contact us anytime.